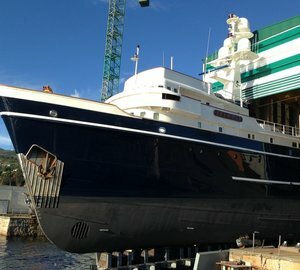 Vigo-based Spanish yard, Attolvic, has successfully relaunched the 1955 expedition charter yacht Seawolf. 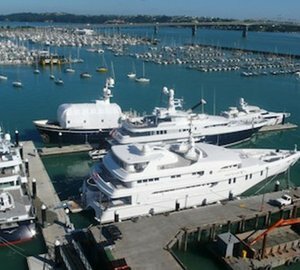 The legendary motor yacht Seawolf has undergone a major refit, which started in late September 2013 and required nearly 120 days of work on the part of 65 employees. 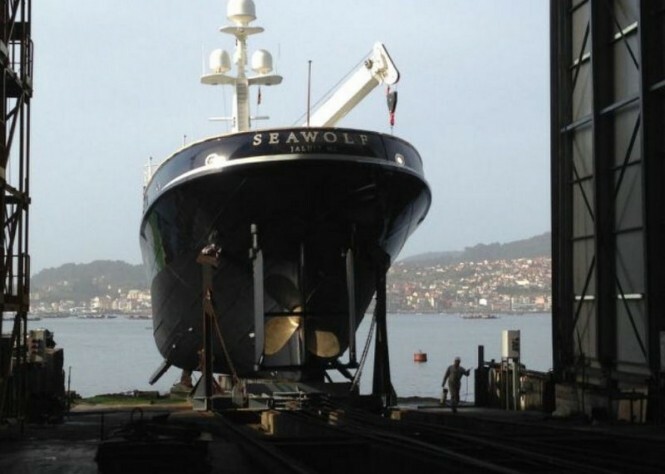 As stated by Atollvic, they all agreed – yard, staff and crew – that a lot more than initially planned got achieved and luxury yacht Seawolf is now ready to cruise the oceans for other five years, together with the required jobs and services inherent to ABS special 5-year survey. Other jobs of relevant importance and complexity have been done, including the all-new AC system, replacement of seawage tank – 26 tons of steel, full ice B class, aft deck crane refurbishment, full rebuild of steering, 26 square meters of hull plate replacement, retrofit anchor windlass from DC to AC power, new AMS system and new fire detection system, etc. 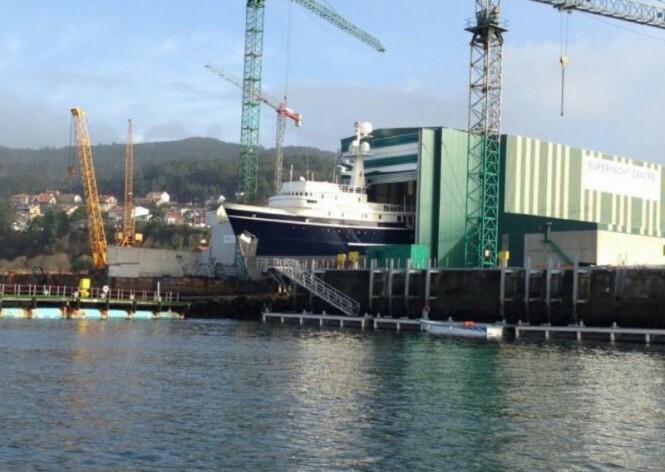 Having ABS based in Vigo was definitely a big plus on the decision of bringing superyacht Seawolf again to this part of the world. Atollvic take the chance to wish all the best to Captain Drarg and the great crew of Seawolf yacht and also thanking them for this great opportunity. 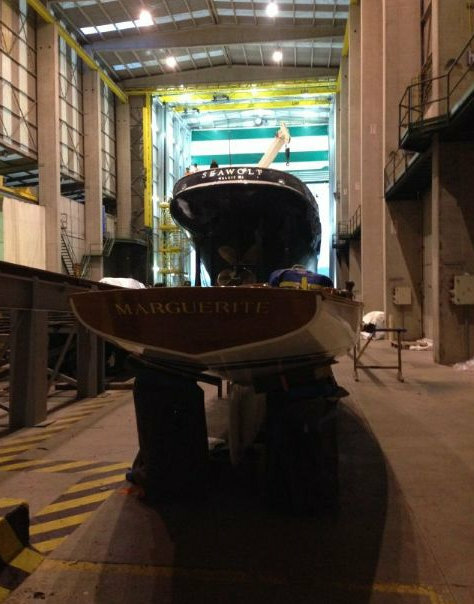 One last word of appreciation goes to their business partners Integrated Marine Group from New Zealand that managed the paint job and all the other technicall support needed during the refit of expedition charter yacht Seawolf. Please contact CharterWorld - the luxury yacht charter specialist - for more on superyacht news item "1955 motor yacht SEAWOLF relaunched by Atollvic".